With the end of 2016 fast approaching, it’s time to get a jump on your end of the year tax preparation. That means tax forms, and Sphinx Business Solutions can provide everything you need for distribution to your employees and filing with the IRS, SSA, and the State of Georgia. W2s – Georgia requires a 6 part form. Several configurations can be purchased in laser sheets or tractor feed formats. Window Envelopes – Gummed or self-seal envelopes are available to match the form layout you choose. Self-Mailers – Laser or tractor feed self-mailers are available for most forms. Miscellaneous Forms – 1098-T for educational institutions, 1098 Mortgage Interest statements, W-2C Statement of Corrected Income, and more. 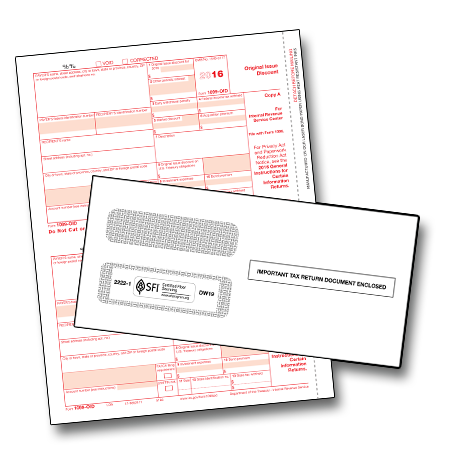 Pre-packaged convenience sets are available that include the most commonly used forms for distribution and filing, plus envelopes for mailing or individual forms may be ordered in packages of 100. Software compliant forms are available for many tax software platforms, including SAGE, Quickbooks Enhanced, Checkmark, ABS, and others. Be sure to ask your Sphinx representative about the correct formatting for your system. Our tax forms supplier also provides Windows based software designed for small and medium-sized businesses. The software guides employers step by step through the process and offers e-file capabilities, making filing with the IRS and SSA quick and easy. Laserlink and Laserlink XL offer the 10 most commonly filed forms, plus ACA forms. The Laserlink XL platform comes with unlimited FREE filings when you e-file using the software. Beginning January 2016, the Affordable Care Act’s Employer Shared Responsibility Rule will require employers to file annual information returns with the IRS and deliver employee statements containing information about health plan coverage. This reporting requirement is in addition to reporting health care costs on Form W-2. Health Insurance companies or self-insured employers must issue Form 1095-B to health insurance recipients by January 31, 2017. 1095-B and 1094-B forms must be submitted to the IRS by February 28, 2017 on paper, or by March 31, 2017 via electronic filing. Employers with 50 or more full-time employees (Applicable Large Employers) must distribute Form 1095-C to employees by January 31, 2017. Forms 1094-C and 1095-C must be submitted to the IRS by February 28, 2017 on paper, or by March 31, 2017 via electronic filing. ACA forms, software, and envelopes are available for immediate order from Sphinx Business Solutions. It’s easy to find the reporting forms that you need with our Tax Form Wizard. Click the link or the graphic to search by state, type of form, software, and the kind of printer you’ll be using. We’ll be glad to help! Call Sphinx Business Solutions at 478-788-7171 for help with 2016 Tax Reporting Forms and sourcing for any specialized form your organization might require.